Hi friends! 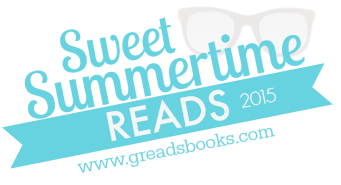 I'm so happy to be here on Ginger's blog to celebrate Sweet Summertime Reads with you all! It's the perfect way to catch up with everyone since we are all so busy over the summer! Let me catch you up on what I've been doing! I actually left my full time corporate job a few months back and am BACK IN LIBRARY LAND! WOO! One of the best decisions I've made for myself! You'd think that by working part time I would have TONS of extra time, right? Thanks to summer I was WRONG! 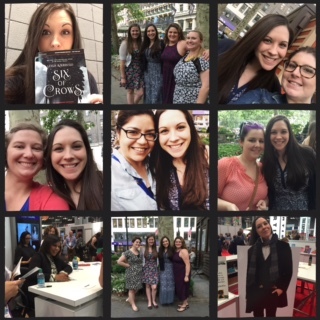 May was busy due to a visit from Amy & Brittany and our trip to NYC for BEA! We focused on seeing all of you blogging friends and had a great time. 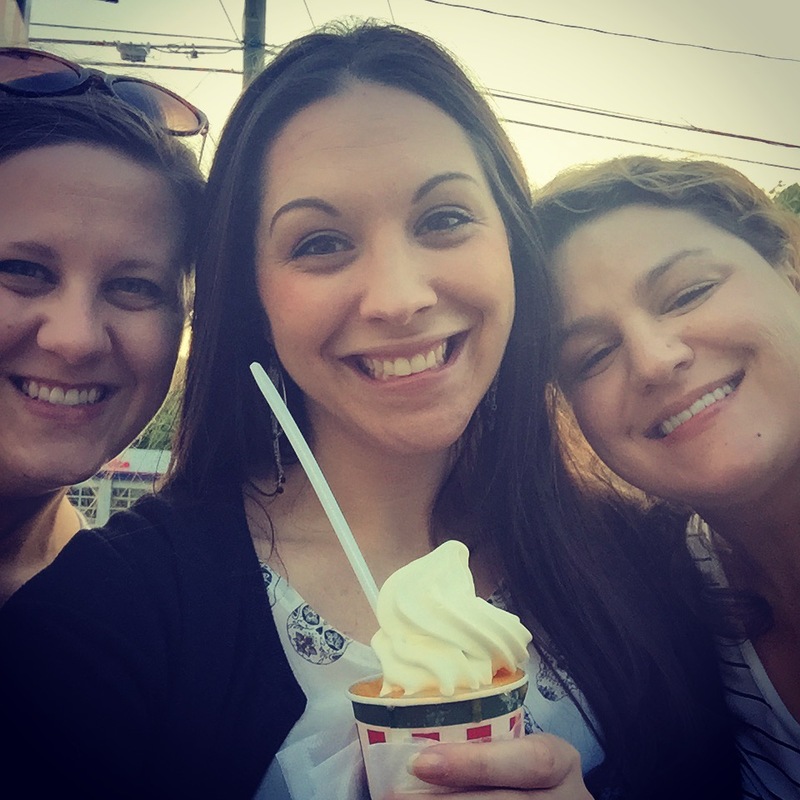 After that planning was done I was working hard on a side business, doing marketing and social media for a huge food festival here in New England. The best part about this is that Amy came out to spend the weekend and we got to spend some really nice time together! All great things but I've been busy, busy! Now, the important stuff...what have I been reading?! I don't know about you guys but over the summer (or holidays - busy times!) I sometimes find it hard to focus on let's call them "deep" reads. Anything you have to think about, you know? I found myself in a rut in the beginning of summer so...well, I took to those trashy vampire novels, friends. The Anita Blake series by Laurell K Hamilton is my go to series when I need to get out of a reading slump. I've read this series so many times, I started with book 1 in May and read one book every few days and I'm halfway through the series again. I don't care what people say, I love these books when I want to turn off my brain and be entertained! 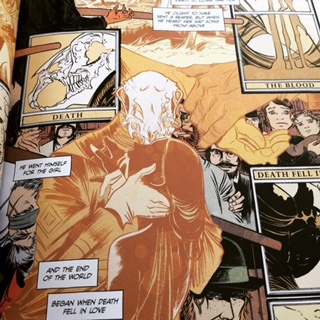 Another thing I tend to binge in the summer is graphic novels! Let's see, this summer I binge read Y: The Last Man, finished up The Unwritten, tried out Pretty Deadly and binge read Locke and Key, which I loved. I have been trying to get into Lucifer since the show starts this fall but I'm really struggling! Lucky for me, two of my top three reads of this year were read this summer! The Uninvited by Cat Winters was amazing, and I can't wait to review it for you guys. The second is Uprooted by Naomi Novik which I'm sure you've all heard amazing things about! The gals and I read it for our "On the Same Page" post and we all loved it and are finding it hard to put our love into words! I thought I'd focus on getting that ARC rating up so I tried to read a few books from Netgalley this summer. 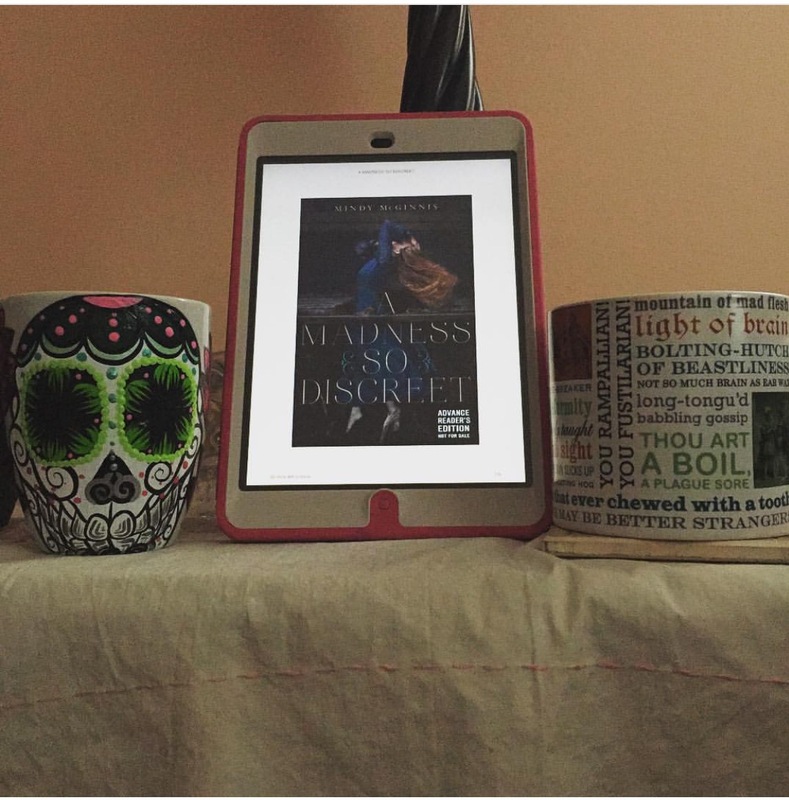 I read A Madness So Discreet and I loved it! It has fantastic and layered characters, and a twisty interesting plot. 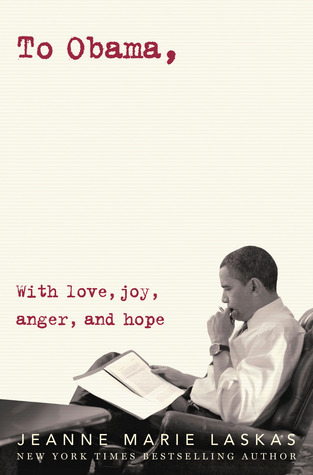 If you are a mood reader it's probably better suited for a chilly and dreary sort of day! I just finished Until We Meet Again a few days ago and it's a definite summer read as 95% of it takes place on a beach! I enjoyed it while reading, and definitely recommend it. However, I don't want to give anything away but let me just say that the ending didn't sit right with me. It was one of those "satisfying" sort of endings, if you catch my...drift. I've also been pretty into podcasts lately. I like to listen while I do my puzzle, color, or scrapbook (honestly am I 7 or 97?) my new favorite is LORE which is basically true accounts of seemingly supernatural events that have happened over time. A few weeks ago there was one on The Jersey Devil, which is pretty neat! It's not too creepy for those of you who scare easily, and is definitely entertaining! 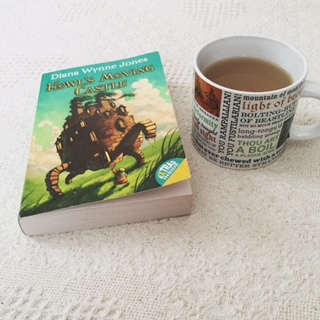 Finally, right before I started to write this post I finished Howl's Moving Castle by Diana Wynn Jones! I can't believe that it has taken me so long to read this fantastic novel. It reminded me of The Enchanted Forest Chronicles or Dragon Slippers and I loved it a lot. This is another choice for our Gals on the Same Page feature for this month, and I'm going to watch the movie and do a little comparison for my post! Now, as I sit here in my library and stare at my shelves I don't know what to read next. I often send my dad a picture of a few books (he actually chose A Madness So Discreet and Until We Meet Again using this method) and he just chose Ash & Bramble. However, I may continue on with my Sevenwaters re-read and pick up Heir of Sevenwaters as I tend to re-read this series yearly as well. I also have yet to finish Ruin and Rising (I KNOW, I'm horrible!) and just picked up Horrorstör from the library. Oh, decisions! 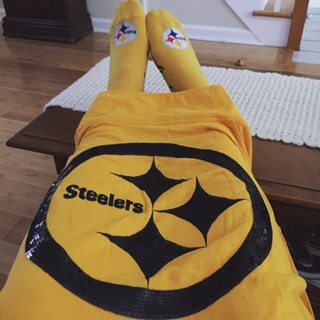 Regardless summer is almost over and I still have shows to binge before their new seasons start and football is finally back! My favorite season is almost upon us! 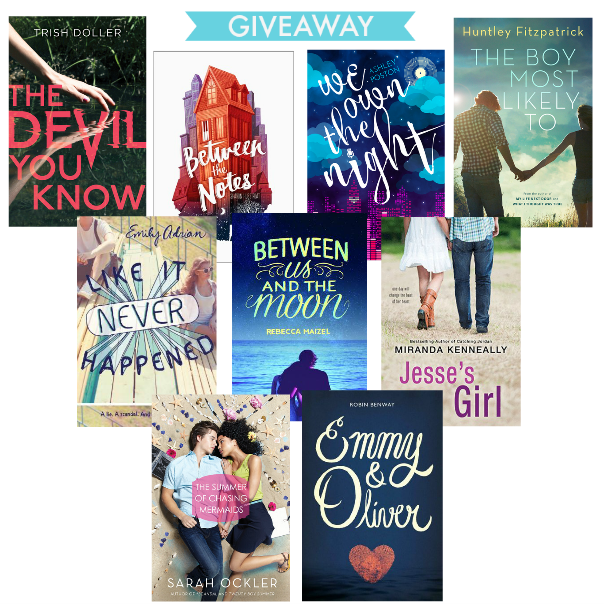 Thanks to Ginger for hosting me, and thanks to you all for reading! Oh heyyy, there's a picture of me up there! :D Love the variety of books and graphic novels you've got goin on Alyssa :) AND YES FOOTBALL SOON. You have had a busy summer! I've loved reading your library tweets. Lol. 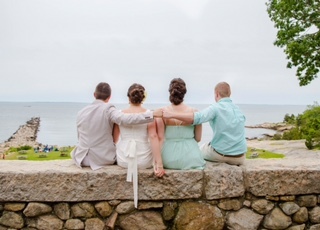 I love that picture with the four of you. It looks so nice. I think it's great to have light reading in summer. Just books that you don't really have to think about or focus on. 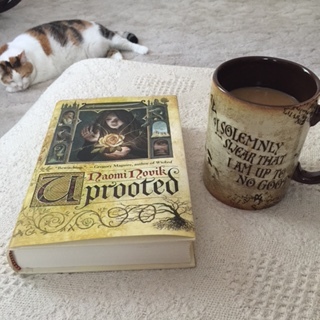 I've heard so many amazing things about Uprooted, I need to get my hands on it. "One of those satisfying sort of endings", I totally get your drift. I'm now…just a little unsure about reading it… I need to get into graphic novels, I've only ever read Pretty Guardian Sailor Moon. Haha. Ban Dau CD | Ban Dau CD Denon chinh hang, giá tot nhat thi truong.